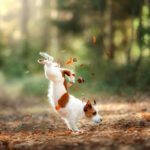 Big personality packed in a tiny frame: Is a Jack Russell terrier the right dog for you? The Jack Russell terrier is generally not suited for homes with children or other animals. They can be aggressive and are high energy dogs. 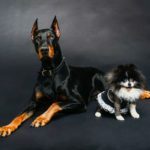 Small dogs vs big dogs: Who yaps, bites and loves more? Every dog owner is sure to have an opinion on small dogs vs big dogs and which dog breeds are the yappiest, cuddliest and meanest. Some of it’s speculation. Some of it’s science. Some of it’s pet temperament.